Well my front yard is underway and looking fantastic, cant wait to see it finished. I would highly recommend Kane and his team to everyone. All finished now and I am on top of the world. Could not be happier with the wonderful job that’s been done. Excellent tradies who turn up on time and go way beyond expectations, highly recommended. Kane and his team were prompt, professional, respectful and very capable of taking our ideas and embellishing them for a high quality finish. Kane was able to problem solve on our behalf and satisfy our sometimes challenging requests, with amazing results. 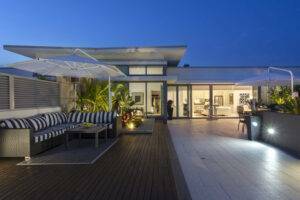 We look forward to welcoming Rigid Landscapes back to our home for stage 2 very soon. Rigid landscapes did a fantastic job at my house! I couldn’t be happier with the finished job!! I would recommend them to anyone!!! Thanks so much for our awesome pool deck, we absolutely love it & can’t wait for the warmer weather now so we can show it off! 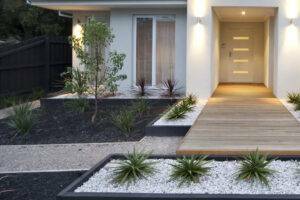 Rigid Landscapes – Recommended Geelong landscapers provide all gardening landscaping services.